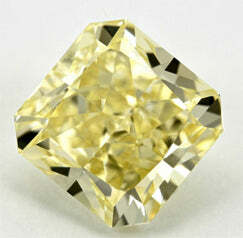 For some reason, I just love yellow diamonds! Actually, I know the reason! My first job after graduating from the GIA was at a very high end jewelry store in La Jolla, California. Every morning we would have to open the safe and carefully put all of the jewelry back into the showcases. My favorite task was to set up the main storefront window. It was here that all the 5.00ct plus engagement rings were showcased. Sometimes I would slip on this one particular ring, a 5.50ct fancy yellow radiant diamond with two white diamond trapezoids set in platinum, while I was setting up all the other jewelry. This was for sure the first time I fell in love with yellow diamonds. Unfortunately, one day that ring sold to a professional golfer’s wife and believe me, I was really sad to see it go! Here at deBebians, we have not only a great selection of yellow diamond engagement rings, but also of fancy yellow diamonds. 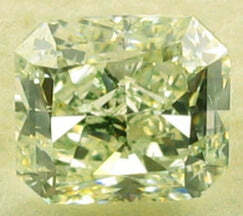 Customers use our yellow diamond search to find that perfect yellow diamond. We sell oval, cushion, radiant and pear shape yellow diamonds certified by GIA as well as many settings specifically designed for a center yellow diamond.